How big is the phenomenon of the distribution of tours and experiences? Why is everyone investing on these platforms, and what is the outlook for the market? How are destinations taking advantage of experiential content to create and strengthen their brands? What is food and wine tourism? How do you measure it? “Man can only think what he can say” (Epicurus). The questions are only apparently trivial, while the theme is central. Booking and Advertising Online: does booking and advertising go where the shopper goes? Metasearch engines have grown exponentially over the past few years and reached maturity in 2018. Today, they represent an essential marketing and distribution tool for every hotel. Bibione, with its 9 km of beaches, is one of the most highly frequented Italian seaside resorts, with almost six million visitors every year. It has always been designed as an offer for all, combining the utmost respect for the environment with a high quality tourism proposal suited to different types of users. Open Systems: reflecting on the technological transformation that is affecting the hospitality world and some thoughts on avoiding bad choices. 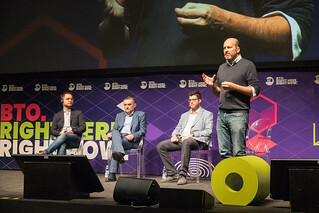 Focus on some of the most innovative food and wine tourism strategies and the most advanced experiences in the use of technology and digital tools by the destinations and their supply chains (restaurants, hotels, chefs, producers and guides). We will ask ourselves which direction the technology is taking and which segments can be applied, as well as what its added value is in promotion and more. Will holiday rentals reach a higher level of service digitisation than more traditional accommodation? How is the Italian host market equipping itself, from the most traditional hosting services to property managers? Does the future of search advertising lie in metasearch engines? Research is becoming increasingly vertical and metasearch engine campaigns are starting to become accessible to the majority. From a one nights stand to a long-lasting marriage. Join us to discover how to build a strong, personalized relationship with your client, through the optimal use of data. Conversational AI, such as chatbots and voice user interface (VUI), may not be yet perfect technologies but they are definitely more than real and, even more important, they are constantly perfecting and they are learning from us… humans. Big firms like Google and Amazon are also betting tons of billions on them. But how did it go so far in the hospitality? Chatbots have been tested since a while, voice assistants in-room are just at the beginning. Nice-to-have things or could these new channels become the preferred way for hotel guests to address questions, give commands, share complains and even making reservations? Some international hotel chains and agencies have already invested time, money and resources on it and they will share outcomes, findings and even their "epic fails". Each day, travel magazines receive an average of 80 press releases, of which only around 2% are actually used and published. The challanges of the Tuscany governance in relation to innovation in the tourism offer. How are offer and behaviour changing thanks to digitalisation and the most advanced innovation? Find out how to increase the profits of your hotel by selling products and services through effective marketing automation strategies. How to increase direct bookings by taking advantage of the competitive advantages of using a Guest Reservation Manager that is perfectly integrated into the hotel’s technological ecosystem. In an evolving hospitality’s scenario, with new technologies, sources of information and of sharing, are exponentially growing data on the customer, on his purchase preferences and habits. The reading and management of these information becomes increasingly crucial. On 13 November last year, TripAdvisor announced a raft of new features internationally and in 28 languages. The world’s leading travel portal is changing face and bringing in new functions, in what is much more than a simple restyling. The presence of “phantom” OTAs in metasearches, with rates that are often way below the parity rate, produces conflicts and complexities in the commercial policies that appear to affect mainly hotels. All this creates chaos in a hotel’s pricing strategies and loss of credibility by the hotel. The method for optimising the rate of conversion of a website by managing the 5 phases of the purchasing process. The website taken apart, revolutionised and rewritten. The perfect equation: guest satisfaction (and that of employees…), reputation and turnover. The growing role of technologies in Hotels. The problem of choice in the face of a market that offers more and more technological solutions. Aspects to consider, comparison metrics, exchange of information between systems, new trends. In-depth analysis with the main players involved. SEO auditing, SEO+UX, SEO landing pages/mobile SEO. More advanced tools. After an introduction by Luca Bove on Google Maps marketing for Hotels, Marco Volpe will talk about how to do Search Engine Optimisation for tourism, which goes far beyond title, meta and link building. Technical training and learning systems, the digital revolution in the continuous development of skills. 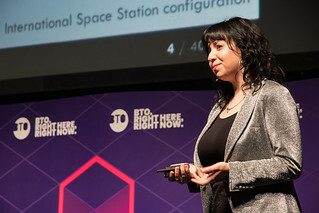 Innovative training and promotion models, including e-learning, blended learning, bite-size training with focus on embracing new markets. How can a citizen, fond of his territory, intercept market niches similar to his interests and effectively promote his land even on the other side of the world, generating a result in terms of (destination) awareness and above all income? In a world where travelers are more and more sophisticated and informed, it is important that your hotel focus its attention to the guest. Take part in the SiteMinder discussion to understand what your customers want and the strategies you can use to get closer to them. 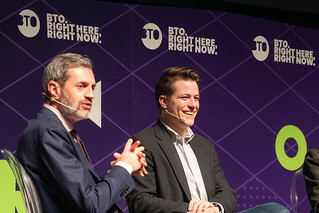 Voyager HQ from New York is one of the special guests of BTO11: their mission is to putting start-up companies in contact with business partners and investors, with the goal of creating value in travel. This slot represents an opportunity to compare innovation ecosystems. The rapid digital evolution has also involved the catering sector, which is becoming increasingly smart, on both the demand side and on supply side. In the coming years, the tourism experience will become richer and completely revolutionized in all its aspects, as new technology and devices offer us the chance to interact with our surroundings. 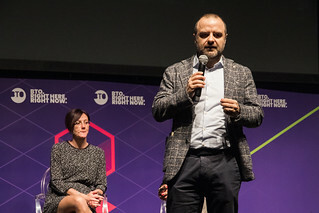 Let’s talk about Umbria Jazz: rewinding everything that the Festival has hosted since 1973 is like taking a trip into the history of Jazz and, for many, it means bringing back personal memories and unforgettable emotions. How is this community, which identifies itself in this annual appointment and loving it madly, held together? A seminar focused on what is called "the biggest issue in hotel distribution in 2019". We will analyze different distribution strategies and explore new way to increase direct sales, through predictive advertising campaigns leveraged by user generated insights. One of every two users chooses their hotel on their mobile and is also learning to purchase their holiday on their mobile, the performance of which is now excellent. That’s why we must never lower our guard, especially at this moment in time. Starting with the data from the Bookassist observatory and with the contribution of Travel Tripper, it is clear that the perfect time to invest is now. VIP influencers, brand ambassadors, or just normal people? Communities or individual content producers? How to identify the right people to give voice, body and soul to tourism brands, influence consumer choices and improve turnover. 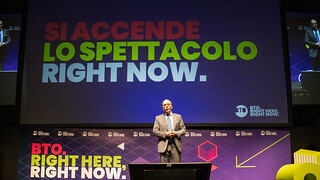 Luca D’ Angelo – From flows to design experience: the creation of the Paganella Bike Destination. A Keynote by Roberta Garibaldi on a set of case histories collected around the world, from New Zealand to Argentina. Properties management for short periods its complex and takes huge efforts an Labour, espycially because of the high guests rotation and all the burocracy attempts, the results that needs hope cost of management and time efforts. Are you sure that the best idea is to completely delegate your online reservations to third parties? How the destiny of a destination changes. Is Matera 2019 a turning point for the entire region? What Basilicata will become in 2020? Over the next few years, China will become the number one tourist destination in the world, overtaking Europe and, at the same time, it is one of the world leaders in digital innovation. Together, we will explore how Chinese demand is changing, how the internal tourism system is being organised and what strategies Italy can put in place to become increasingly attractive to the millions of travellers who arrive and will continue to arrive from this great country. End-to-end distribution, the end for intermediaries? End-to-end technologies in tourism and multi-product sales, such as the online sales system for airlines and agencies. The "intelligent" management of a destination emerges as a priority chosen by territorial governance through careful planning. The number of tourists is constantly increasing all over the world. The wish list (of destinations) always stays (more or less) the same. This simple fact is risks creating problems for the most popular tourist destinations. Pavements always crowded. Overloaded means of transport. Long queues outside museums. Urban solid waste collection systems on the verge of collapse. Higher and higher rental costs. Old town centres abandoned by residents. But is this really so? Is tourism itself a problem or is it the management of public services that must find new formulas? In this panel, we will try to answer these questions and show how new technologies help, concretely, to make destinations more sustainable. It all starts by knowing your visitors well, knowing when they arrive and how they behave. It can be done and we will show you how. With Danilo Beltrante, we will explore the great variety that the Extramura sector is made up of. From the single rented property to generate a supplementary income, to Franchising of holiday homes. The Matera 2019 programme avails itself of a Passport, to be used throughout this year, in order to allow everyone, including the local community and temporary citizens/tourists, to feel that they are a part of this great cultural workshop. What role do emotions play when we look for, evaluate and book a trip? Booking.com, CISET and NeuroWebDesign together, to examine in depth the theme of user experience and the best neuromarketing techniques that allow us to optimise a website. Together, we will analyse all the typical steps in the purchasing process, highlighting the emotional involvement of the user and how to detect it in a scientific way. Women and Tourism to stir emotions, digitalise and not only in the 21st Century – Shape, grow and innovate. The Project consists of describing the reality of women in the Tourism sector, how they provide and how they receive hospitality. Simple Booking: stop with online sales. Or not? In the hotel industry the fine line between online selling and conventional requests becomes more gray. Discover how to turn your communication needs into opportunities for sale. Google has changed online sales dynamic by setting the focus on visibility as a service against remuneration. Serenissima Informatica: between the reception and the cloud, from PMS to Marketing Automation to increase direct revenues. The increase in booking channels available to customers and touch points with the hotel, together with the diffusion of management software generally not well integrated, determine the existence of data silos potentially rich in information, such as inaccessible diamond mines and difficult to exploit. They say that 2019 will be the year in which many of the blockchain initiatives will emerge from their testing phase and take shape. Yet some doubts still remain, concerning the costs vs. the benefits of adopting this technology, its multiple fields of application and whether or not tourism is the most appropriate industry for this decentralized model and tends to be the safest for conceiving and using registers and contracts. Whether it is the traceability of a booking, the ID of a passenger or a piece of baggage, just like a transnational payment, the blockchain makes the exchange of a chain of information possible and accessible to everyone, with numerous advantages for the traveller as well as for the tour operator. Will this really be the year in which the tourist marketplace finds a designated use of the blockchain? What form is it taking in this industry of ours? We are discussing this with some of the most committed players on this front. The narration of food and wine has changed a great deal in recent years. How much can the new way of talking about (food storytelling) drive tourism? How much does communication concerning food & travel via the web and social media affect behaviour, imagination and purchasing decisions? A tool as powerful as underestimated. Find out how to turn it into a business source for your hotel using few simple steps. Puglia Travel Flavour: the trip in Puglia starts at the table! Puglia Travel Flavour is the creative partnership project designed by Pugliapromozione together with Expedia. Choose your ideal menu, explore the territories in Puglia with emotional videos and enter into the centre of a digital experience that talks about Puglia as a place of excellence to explore, taste and book! What effect does serving food on small or red or round plates have? Why do we consume 35% more food when we eat with another person and 75% more when there are three of us? 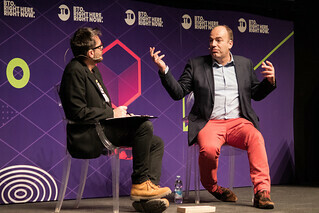 "Gastrophysics" is the new field of knowledge opened up by Professor Charles Spence, which combines disciplines such as science, neuroscience, psychology and design. 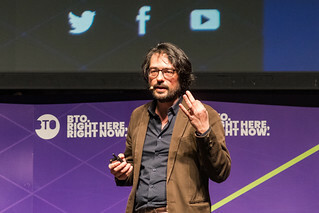 Using his two decades of research on the extraordinary connections between our senses, he shows how we can create more tasty, exciting, healthy and memorable culinary experiences. Above all, in order to get the most out of every meal, we must think not only of what is in our mouth, but also what is in our mind. Spence has explored every sense and different types of meals to show dozens of ways in which the elements "outside the plate" influence our food experiences: the weight of the cutlery, the position of food on the plate, the background music and more. 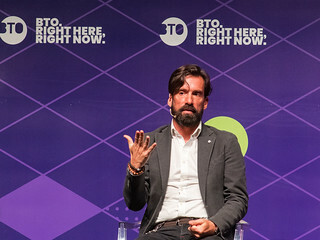 He reveals to us how food companies and the best restaurants in the world create cutting-edge technologies to do this, and how this can transform the way we will eat in the future. Whether you are at home or in a restaurant, eating alone or with friends, Gastrophysics discovers the hidden ingredients at our disposal that can change the way we eat and the way we live. 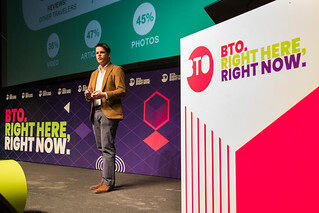 For the choice of a museum or of a cultural experience, online content and digital reputation are also factors that define expectations and influence the choices of potential visitors. 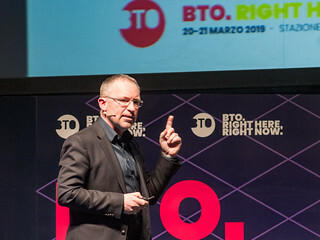 Today, the customer journey is increasingly fragmented and differentiated and, for any activity, it is essential to identify and develop its competitive advantages and bring the customer personas into focus, in order to understand how to use online and offline channels in a strategic way. The trasformation of Destination Florence Convention and Visitors Bureau from promoting the destination to attract conferences and events, to a recongnized DMO. The Director Carlotta Ferrari tells the story about how you can become a destination management model and a succesful case history. Your perfect equation: guest satisfaction, reputation and revenue. We will consider the roll of people (High Touch) and technology (High Tech) to create happier guests, who come back, become your true ambassadors and improve the brand value – and therefore your ADR – through strong word of mouth. In the last decades the travel industry has changed with unprecedented speed; in this context it is fundamental to understand the software tools at the base of modern hotel management and to analyze how these should be used in order to automate and simplify hotel business processes. What challenges does smart tourism face in cultural destinations? What role do the new technologies play in processes aimed at highlighting the value of cultural heritage and sustainable development of cultural destinations? How can they facilitate creativity and innovative tourism experiences? How do they facilitate access and/or delocalisation of tourist flows towards minor itineraries? How can marketing, communication and intermediation be revolutionised? What are the innovative tools for monitoring and managing tourist flows? 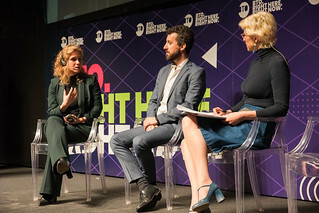 The panel of experts aims to outline the challenges and developmental scenarios of smart tourism in cultural destinations, by identifying the potential, the limits, the challenges and the business opportunities for the various players. Antonello Colonna is a Chef, visionary, hotelier and philosopher. He has made his bond with the territory his strong point, and hospitality the cornerstone of the relationship with the customer. Today, when choosing an accommodation facility, travellers rely upon various indicators and often a combination of them: reputation, category and price are the most important, but they focus even more on seeking specific services to satisfy their needs and the type of journey they are going to embark upon. 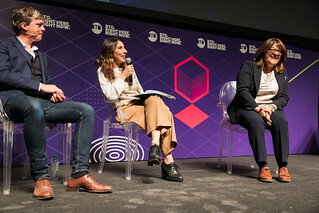 Tradelab: Programmatic advertising, how does the advertising of future evolve in the tourism sector? Planning a programmatic advertising campaign offers the advantage to optimize digital investments, reach – via the power of data – the right users (both online and offline), control the exposure frequency of the ad. In this workshop we will see how to build a programmatic campaign integrated in mobile and Out Of Home altogether. Will increasingly smart payments, quick as the blink of an eye, managed by our trusted stores, in wallet mode and by mobile, soon make the current payment circuits and POS technology obsolete and make cash unacceptable even for small amounts? China is driving this “evolution” with Alipay and WeChat Pay, where 32% of consumers already use these systems for their travel abroad with significant growth rates also in the adoption of digital payments by merchants. The penalty is the loss of important incomes and market shares. The fintech global race has begun. What can we catch sight of on the horizon and who will earn themselves the podium? But above all, how is the travel industry equipping the travel sector for this change in Italy? How will the use of these systems affect the final cost price of the rooms? We are talking about it with some of the main protagonists on the international fintech scene. 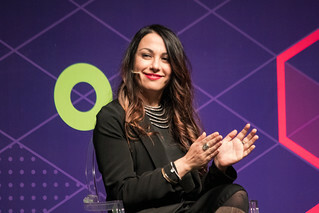 The digital world has changed the spread of word to mouth and has impacted reputations. This is a very well-known phenomenon in the hospitality industry. In the restaurant business, the same phenomenon came later, chronologically speaking, but it was quantitatively much broader. Common problems and a few strategic solutions. New trends in hotel bookings and contracts imposed by credit card companies can make us lose a lot of time and money. JobValet is a digital recruitment platform for staff in the hospitality sector and a bridge between supply and demand. How can a wine tourist continue to be your customer even when he gets back on the plane? The potential and the tools are there and are available to companies to increase sales and brand awareness, thanks to food and wine tourism. Bookassist: is your Hotel ready for the 2019 News & Trends? Do you need Book on Google? What do you know about Booking.Basic? Why do your cancellations are increasing? Bookassist answers these and other questions! Presenting the smart museum as a result of the fusion between creativity, new technologies and managerial innovation processes. 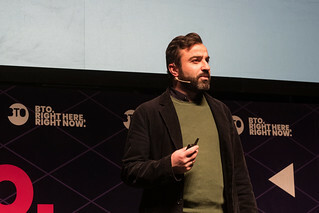 The opening speech was by Arvin Sanjeeev, winner of the 2018 Playable Museum Award at the Marino Marini Museum in Florence, followed by Fabio Viola with Gaming and Museums: the Taranto Case, Riccardo Napolitano: the HoloLenses and Sergio Riolo Il Cartastorie from the Banco di Napoli Archives. Does the napkin consume the sheet? Changes in demand, new technological challenges and variations in regulations are changing the delicate balance between food and beverages and the management of accommodation capacity. Food is becoming increasingly mobile, fluid, and liquid – just like the communication strategies used to promote and sell it. From simply being a product to be placed, the focus has shifted more and more to "customer service" as an added value, gradually evolving into the idea of "experience". The modification and broadening of the definition of online booking in the EU Directive on packages, in light of the first practical implementation of the Commission’s directions. Le Cesarine is an innovative start-up company, established in 2014, to develop and promote the Gastronomic Cultural Association of the same name, founded in 2004 in Bologna. What would happen if in the future hotels provided a mobile, relocated and fully automated service? How and where could we recover the human relationship and the territorial characterisation? What if they became a fun place to relax, work, reorganise your time and, even if you stayed there for just one night, they were the set of a fairy tale, an eco-sustainable nest that exploits the motion of the tides or a peripheral oasis of a big city? And this all in the name of respect for the delicate urban and natural ecosystem, in search of the perfect human psycho-physical balance. Just a moment, though… what if all this is already happening? 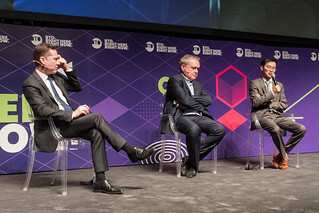 So-called stimulating but not always positive international experiences have shown that so-called "Smart technologies" are a necessary condition for the creation of a Smart Destination, but they need to proceed at the same pace as Smart Governance and Smart People. What does a tourism start-up company really need when moves from the idea stage to the market? What are the difficulties it faces and what help does it need? 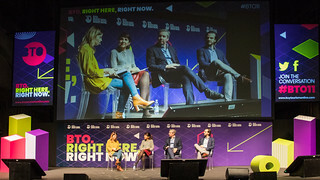 How the integration between territorial destinations and digital and innovative start-up companies can build a smart tourism product. Digital solutions for the promotion of Italian tourist destinations in China, visibility for brands, companies and accommodation facilities wishing to enter the Chinese market, direct purchase, also from China, of tourist services payable by mobile payment. A far cry from that Italy that still talks about seasonal adjustment at conferences, as if it were an ever-valid mantra for gathering the consensus of tour operators, there are companies and governments that invest to make the management of the territory (and, consequently, of tourism) increasingly efficient. “Non voglio mica la luna” (I’m not asking for the moon) is a web series in six episodes that tells the story of the turbulent and funny eve of the wedding of Sibilla, from the Marche region and Tom, an Englishman. How to help the Marche region attract marriages from abroad?